The 126 nurses would have received around $50 each. 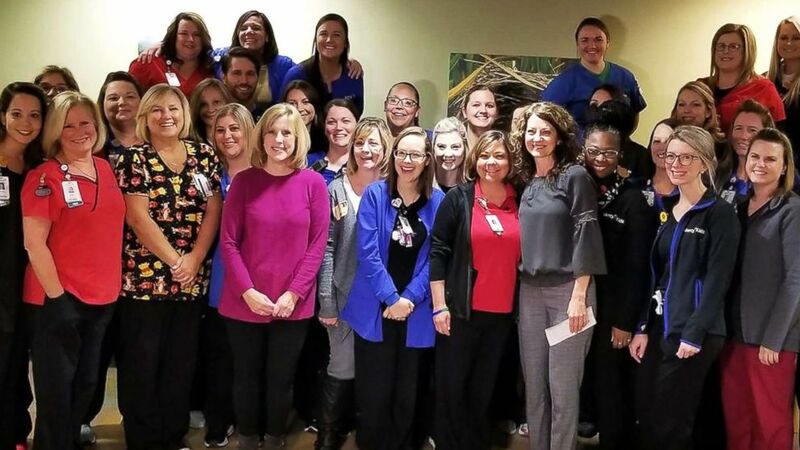 A group of more than 100 nurses who won a $10,000 lottery jackpot decided to change the lives of two of their colleagues instead of taking the money themselves. Had the nurses each taken their share of the October Mega Millions win, they would have each received around $50. ( Mercy Children's Hospital) Nurses at Mercy Children's Hospital in Missouri donated their lottery winnings to two fellow nurses. Brinkman, a Mercy NICU nurse for 12 years, organizes the unit’s lottery pool each time a Mega Millions or Powerball jackpot starts to reach hundreds of millions of dollars. The group has never before won more than $20. (Mercy Children's Hospital) Nurses at Mercy Children's Hospital in Missouri won around $7,000 after taxes in a recent Mega Millions jackpot. "It’s completely unbelievable and I think it happened for a reason so we could help [our colleagues] in need," said Brinkman. A nurse who contributes each time to the NICU's lottery pool is Gretchen Post, who has worked at Mercy for 28 years. On Oct. 23, the same day the nurses won $10,000 in a $1.5 billion Mega Millions jackpot drawing, Post’s teenage son, Jack, committed suicide. She found out that her coworkers in the NICU were donating $3,600 to her just as she was planning her son’s funeral arrangements. 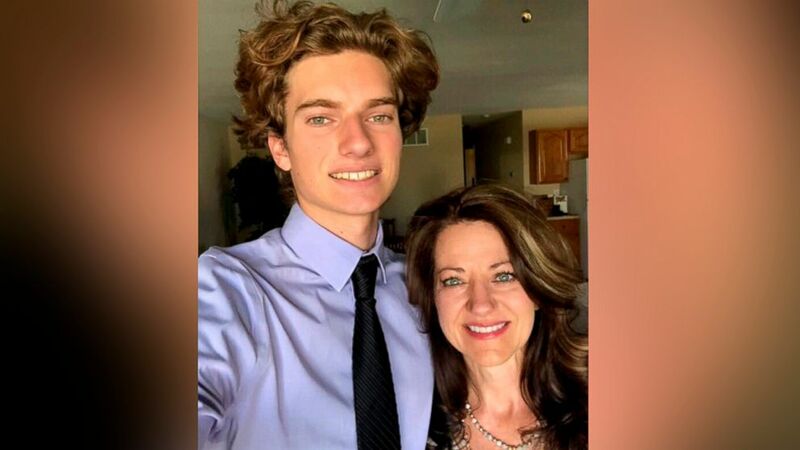 (Courtesy Gretchen Post) Gretchen Post, of Missouri, poses with her son, Jack, who committed suicide in October 2018. The money, she said, helped to pay for Jack’s funeral. Post said the donation from her coworkers took on special meaning because Jack, who had just turned 17, was a very giving person. The money is now also helping Post, who has two other children and has not yet returned to work, with her recovery. The drug was recently approved by the FDA. Kalin Bennett becomes first athlete with autism to land a D1 scholarship. 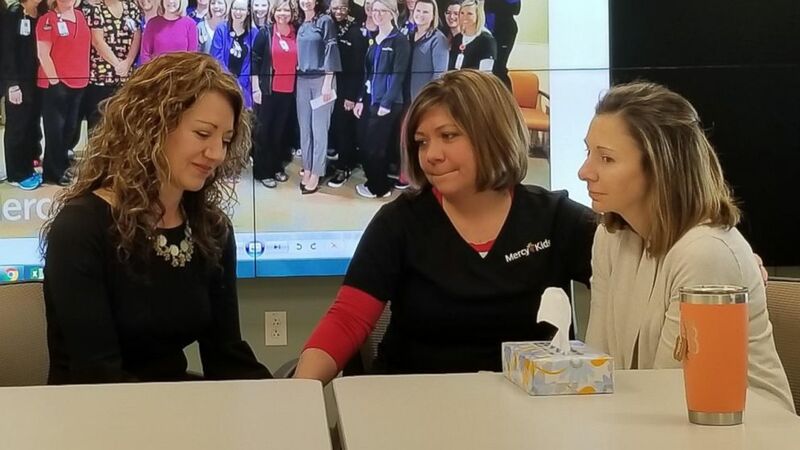 The Mercy NICU team member who received the other half of the lottery jackpot said she was praying about her husband's cancer treatments when she learned of her colleagues' generosity. "I knew it was God answering my prayers," said Dr. Casey Orellana, a neonatologist who has worked at Mercy for 11 years. Orellana's husband, Phil, also a doctor, was diagnosed in February with sarcoma in his hip. In July the family learned that the cancer had spread to Phil's lungs. 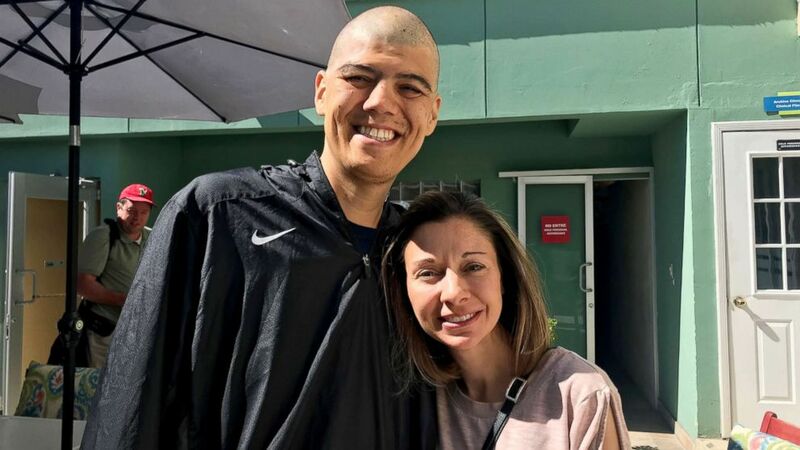 "He’s had most of the treatments that are available here in the U.S. so we’ve looked around the world for treatments," said Orellana. "It’s required us to travel and pay for things insurance doesn’t cover." The Orellanas, the parents of four children, have been largely unable to work since July. The $3,600 donated by the NICU nurses has allowed the family to pay for expenses related to Phil's treatment, according to Orellana. "I was surprised that they won the lottery but I wasn’t surprised they were being so generous and amazing because that’s just who they are," she said of her NICU colleagues. "We’ve just had so much support from everyone at Mercy and in the NICU. They’ve all along the way brought food and been there for conversations and hugs." (Mercy Children's Hospital) Gretchen Post, left, Stephanie Brinkman, center, and Casey Orellana, right, sit together at Mercy Children's Hospital in Missouri. When asked if the Mercy NICU nurses plan to continue playing the lottery, Orellana, Brinkman and Post all said "yes" in unison. "Our job is pretty stressful so the lottery is just one of the fun things we can do to bring some camaraderie to our unit," said Post. "We have a very strong bond and I think this just goes to show that we’re always here for each other, no matter what," added Brinkman. "We hope stories like this encourage others to spread kindness and love."